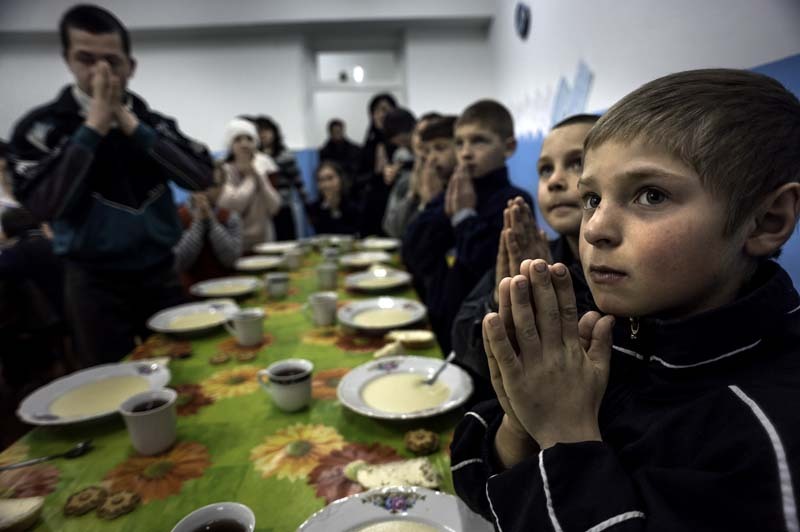 Petru Stepaniuc, 9, right, prays with other children at the Center for Children in Chisinau, Moldova, before a lunch consisting of corn porridge. Petru has lived here since 2009. His father works in Russia but has not sent any money home to help him and his mother, who suffers from alcoholism. This center serves as an orphanage for many children who are left behind when their parents leave the country to try to find work but never return.